Generic Seroquel is a prescription medicine used for the treatment of schizophrenia in persons age 13 or more. Seroquel is also used for the acute treatment of manic episodes associated with bipolar I disorder as well as maintenance treatment of bipolar I disorder. Generic Seroquel is indicated as monotherapy for the acute treatment of depressive episodes associated with bipolar disorder and maintenance treatment of bipolar disorder as an adjunct to lithium or divalproex in adults only. The active ingredient present in Generic Seroquel is Quetiapine Fumarate. Generic seroquel is available as Qutipin, Qutipin XR, Q-mind, Q-mind XR and Seroquin Tablets. Qutipin tablets are manufactured by Sun Pharmaceutical Industries Ltd. in the strengths of 25 mg, 50 mg, 100 mg , 200 mg and 300 mg.
We supply original Qutipin tablets manufactured by Sun Pharmaceutical Industries Ltd.. 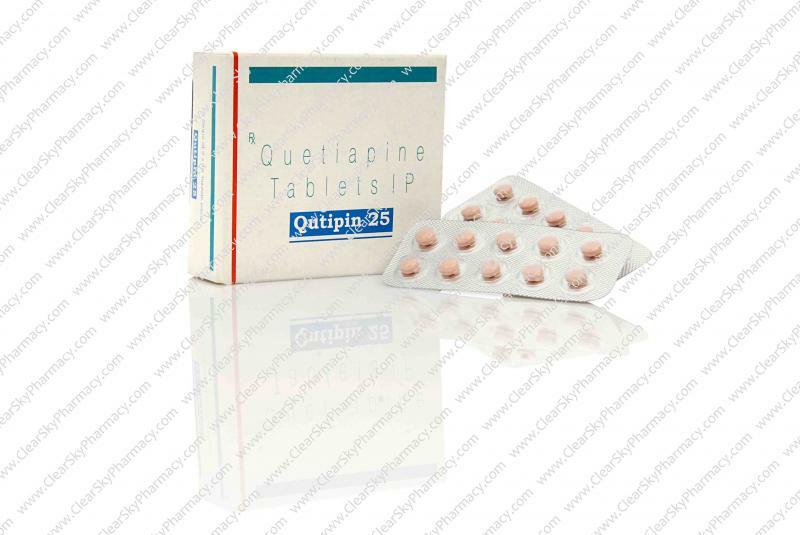 The active ingredient present in Qutipin tablets is Quetiapine Fumarate. Each film-coated tablet of Qutipin contains 25 mg, 50 mg, 100 mg , 200 mg or 300 mg of Quetiapine Fumarate respectively. Qutipin tablets (Generic Seroquel) are used to treat schizophrenia in people age 13 or older and to treat bipolar disorder, including depressive episodes associated with bipolar disorder, manic episodes associated with bipolar I disorder alone or with lithium or divalproex, and long-term treatment of bipolar I disorder with lithium or divalproex. Common symptoms of Bipolar Disorder include extreme mood swings, manic (highs), and depressive (lows) along with other specific symptoms and behaviors. Common symptoms of a manic episode include feeling extremely happy, being very irritable, restless, talking too fast and too much, and having more energy and needing less sleep than usual. Common symptoms of a depressive episode include feelings of sadness or emptiness, increased tearfulness, a loss of interest in activities you once enjoyed, loss of energy, difficulty concentrating or making decisions, feelings of worthlessness or guilt, changes in sleep or appetite, and thoughts of death or suicide. We supply Qutipin manufactured by Sun Pharmaceutical Industries Ltd. Qutipin tablets contains the active ingredient Quetiapine Fumarate. Qutipin is also referred to as generic Seroquel. Generic Seroquel is contraindicated in patients who are hypersensitive to Quetiapine Fumarate or any inactive ingredient present in this product. Generic Seroquel can be taken with or without food. The recommended dosage of Qutipin tablets varies as per the indication being treated and is individualised as per the requirements of the specific patient. For the treatment of Schizophrenia in Adults, Generic Seroquel is usually administered with an initial dose of 25 mg twice daily, with increases in total daily dose of 25 mg to 50 mg divided in two or three doses on the second and third day, as tolerated by the patient, to a total dose range of 300 mg to 400 mg daily by the fourth day. Day 4: Twice daily dosing totaling 400 mg. Further dosage adjustments up to 800 mg/day by Day 6 should be in increments of 200 mg/day or less. During clinical trials, survival has been reported in acute overdoses of up to 30 grams of Quetiapine Fumarate and a death has been reported in a clinical trial following an overdose of 13.6 grams of Generic Seroquel alone. Most patients who consumed an overdose of Quetiapine Fumarate reported no adverse events or recovered fully. Take Qutipin tablets exactly as your doctor tells you to take it. Do not change the dose yourself. Take Generic Seroquel by mouth, with or without food. If you feel you need to stop this medicine, talk with your healthcare provider first. If you suddenly stop taking this medicine, you may experience side effects such as trouble sleeping or trouble staying asleep (insomnia), nausea, and vomiting. If you take too much of this medicine, call your healthcare provider or poison control center right away or go to the nearest hospital emergency room. Tell your healthcare provider right away if you have some or all of the following symptoms: high fever, stiff muscles, confusion, sweating, and changes in pulse, heart rate, and blood pressure. These may be symptoms of a rare and serious condition that can lead to death. Call your healthcare provider right away if you have any of these symptoms. Increases in blood sugar can happen in some people who take this medicine. Extremely high blood sugar can lead to coma or death. If you have diabetes or risk factors for diabetes (such as being overweight or a family history of diabetes), your healthcare provider should check your blood sugar before you start this medicine and during therapy. Call your healthcare provider about any movements you cannot control in your face, tongue, or other body parts. These may be signs of a serious condition called Tardive dyskinesia. It may not go away, even if you stop taking this medicine. Tardive dyskinesia may also start after you stop taking this medicine. These are not all the possible side effects of Generic Seroquel (Qutipin Tablets). For more information, ask your healthcare provider or pharmacist. You and your healthcare provider should decide if you will take this medicine or breast-feed. You should not do both. Tell your healthcare provider about all the medicines that you take or recently have taken, including prescription medicines, non-prescription medicines, herbal supplements, and vitamins. This medicine and other medicines may affect each other causing possible serious side effects. This medicine may affect the way other medicines work, and other medicines may affect how this medicine works. 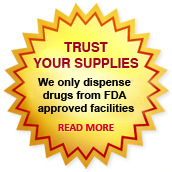 Your healthcare provider can tell you if it is safe to take this medicine with your other medicines. Do not start or stop any medicines while taking this medicine without talking to your healthcare provider first. Know the medicines you take. Keep a list of your medicines to show your healthcare provider and pharmacist when you get a new medicine. Do not drive, operate heavy machinery, or do other dangerous activities until you know how this medicine affects you. This medicine may make you drowsy. For your own safety and that of others, do not drive, operate machinery, or do other dangerous activities until you know how Seroquel affects you. Generic Seroquel (Qutipin tablets) can make you drowsy. Avoid getting overheated or dehydrated and do not over-exercise. In hot weather, stay inside in a cool place if you can. Do not drink alcohol while taking Generic Seroquel tablets. It may make some side effects of Generic Seroquel worse. You can buy Generic Seroquel tablets online from Clear Sky Pharmacy. Qutipin 25 mg, 50 mg, 100 mg , 200 mg and 300 mg pills, manufactured by Sun Pharmaceutical Industries Ltd., India are supplied in a blister strip of 10 tablets. The 25 mg tablets cost only $0.18 per unit when you place an order for 300 tablets.